Both candidates for the sprawling 11-county district delivered opening and closing remarks to the sold-out Chamber breakfast crowd of nearly 300. The bulk of the time, however, was dedicated to answering questions from Chamber members. Faso, a Columbia County resident, used a few opportunities to underscore his 33-year residency in the district, repeating a line that has become a campaign adage. Alex Stier owns Home Plate Deli & Caterers in the Town of Ulster, just outside Kingston, and Olive Country Store. Stier says he strongly supported Gibson and takes stock in Gibson’s support of Faso. 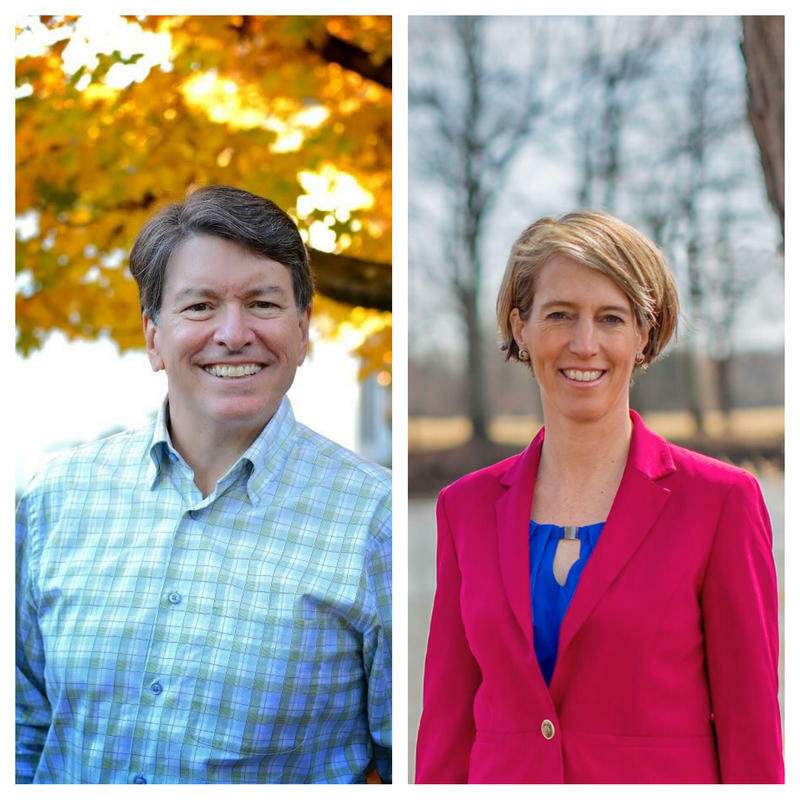 Stier appreciates Faso’s longtime connection with the district and plan to alleviate what he says is the over- regulation of small business. 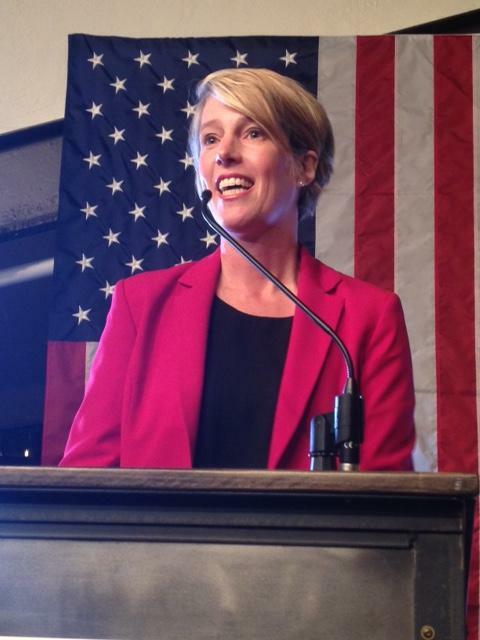 Teachout also told the audience she wants to help small businesses, and in her opening remarks mentioned that she was donning a dress from Kingston-based Karina Dresses. Accord resident Arlene Gould, who is the executive coordinator of the Jewish Federation of Ulster County, is a lifelong Democrat and says she likely will vote for Teachout. Both candidates say they have the ability to work across the aisle. Here’s Faso. Teachout’s model goes further back in time. One question posed whether the candidates would support annual increases in cancer research funding for the National Institutes of Health and National Cancer Institute. To this, Teachout responded she’d lost two friends under the age of 50 to cancer. Faso told about losing his brother-in-law to ALS before answering. And both credited Congressman Gibson with advancing Lyme disease research. Debbie Warburton is government relations director of the Hudson Valley chapter of the nonpartisan Alzheimer’s Association. 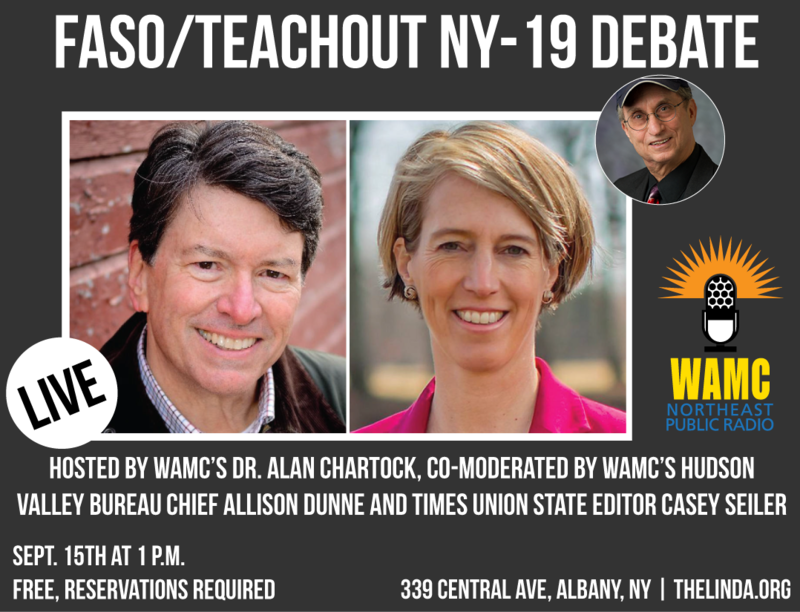 A Time Warner Cable News/Siena College poll out September 27 shows Faso with a 1-point lead over Teachout, but Teachout was leading in Ulster and Dutchess Counties. Teachout, who authored a book on corruption and ran against Governor Andrew Cuomo in the 2014 Democratic primary, says she has a strategy. “I believe that we’re going to win this through grassroots up, bottom up, person to person campaigning, talking about the real issues that are affecting people,” says Teachout. Faso, a former state Assembly minority leader who ran against Democrat Eliot Spitzer for governor in 2006, is running on a platform centered on reform to help small businesses, including simplifying the tax code, ending corporate welfare and easing regulatory burdens. One of only a few true swing districts nationally, the 19th district race has garnered national attention. Audio of the entire "Meet the Candidates" event is below.